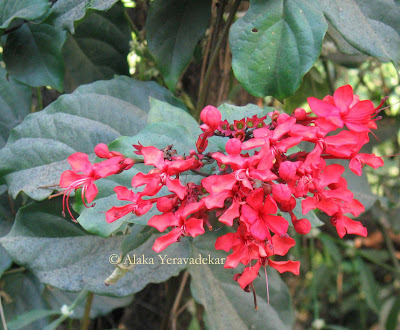 is it Clerodendrum splendens? A pretty flowering ornamental climber. Is it Clerodendrum splendens? A pretty flowering cultivated climber.